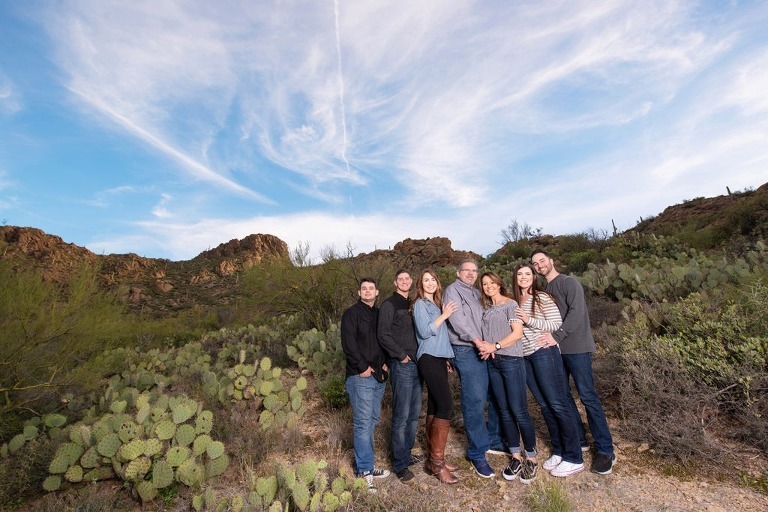 Even the desert has gray days, but for this family photo session, the sky eventually turned blue and the mountains glowed orange in the setting sun. Part of being a professional photographer with years of experience is that I bring light with me to every session, and use it. I use light to balance against gray skies, to make the blue skies look blue, and to be able to showcase that beautiful glow that lights up the mountains but that I don’t want on the client’s faces directly. Using off camera lights is part of what sets me apart from other photographers. I bring them everywhere with me, and I mix them up with natural light to create lots of options for family photo sessions. 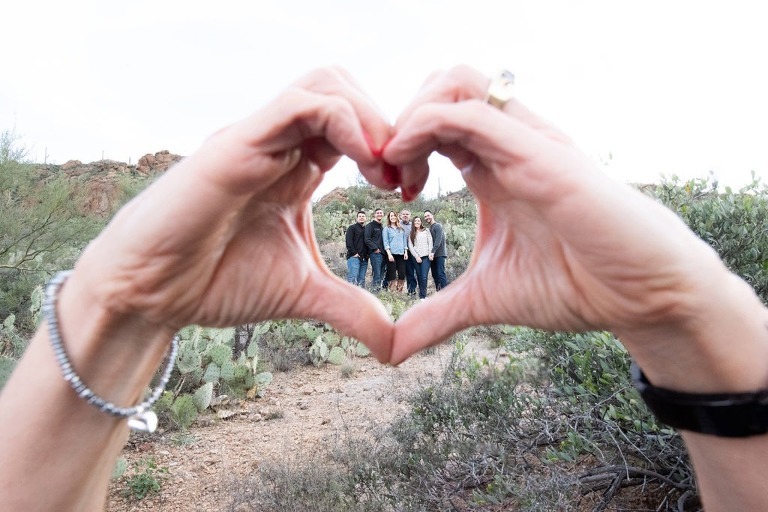 This family photo session was extra special because it was Mom’s birthday and her daughter purchased the session with me as a surprise. So they all showed up and she had no idea what to expect! She was over the moon excited and couldn’t stop smiling. Dad was a character, and I knew I’d won him over when he willingly laid on the ground for the “jump shot” and scissored his legs for a laugh. 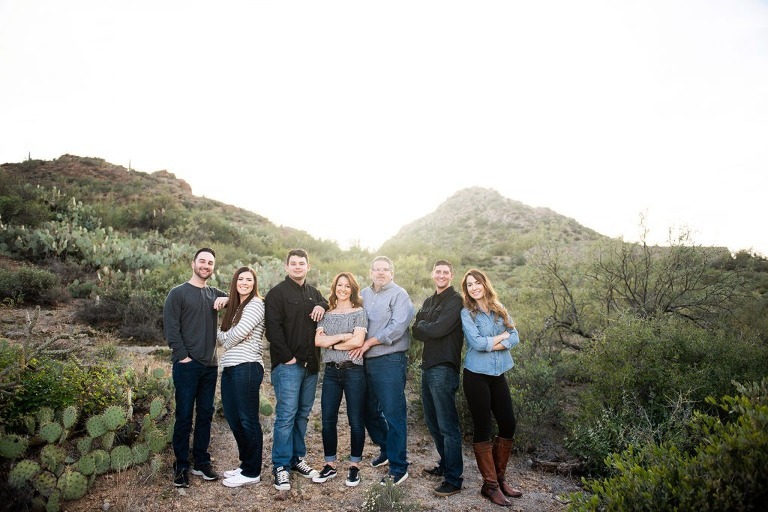 With large families, I always make sure to gets lots of images with the whole group, but also subdivide the family out into smaller groups, couples and individuals. 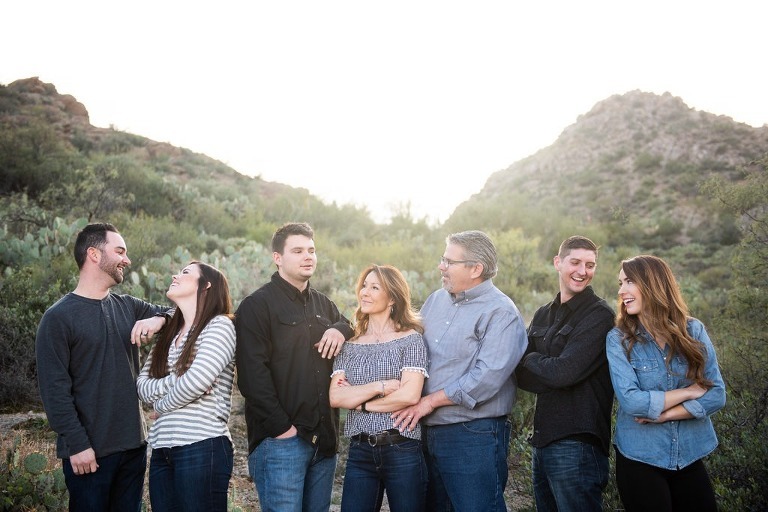 I love variety in family photo sessions!